For most people, the worst thing that could happen to them during a workout is lose energy in the middle of an intense weight session. This is a problem that is common with especially to people who are new to the fitness life, or have just started exercising again after a long spell away. This is why they result to pre-workout supplements. These exist specifically to help you get that extra boost of energy during your training session. Just as a cup of coffee pick you up in the morning, caffeine supplements are good to take right before a workout. This is why it is one of the most popular in fitness products that are supposed to be taken a few minutes before you begin your regimen, such as Cellucor C4. Caffeine improves several aspects you’re your body’s ability to stay alive during a routine. It increases your power output during such activities as cardio exercises and weight training. It is also known to help during long cycling exercises and sporting activities like football. The recommended dosage is about 3 to 6 milligrams per kilogram of body weight. Creatine has for a long time been a favourite of many mainly because of its various workout benefits. In fact, according to Healthline magazine, it is considered the most important supplement by most sports scientists. Research has found that it is one of the safest ways to increase muscle mass as well as boost strength during a workout. It was found that people who take creatine before a workout had shown a 5 to 10% increase in strength and power output when training with weights. You are recommended a dosage of 20 grams a day, spread out throughout the day that should be split into multiple servings. This is an amino acid that is naturally produced in the body and works by increasing blood flow to the tissues. When consumed as a supplement, the levels found in the body are heightened, further intensifying the benefits to your exercise performance. It works by increasing the amount of oxygen and nutrients needed for your muscles to function at their peak. This keeps away exhaustion, which is one of the worst things that could happen during training, especially with weights. Taking citrulline also greatly reduces soreness in the muscles after a workout. It is important to keep up with the dosage however, to ensure safe use. The dosage is dependent on the type of supplement you are using. L-citrulline is used for endurance based exercises at 6 grams a day and citrulline malate is advised for weight training at 8 grams a day. Branched-chain Amino Acids are found in many popular workout supplements such as the Dymatize ISO 100. These amino acids are made up of three important molecules namely Leucine, Isoleucine and Valine. They are typically taken to help in muscle growth, but can also be used to increase endurance. This was found during a study using marathoners, who are required to keep pace for a long distance. It is because BCAAs supplements help in reducing mental and physical fatigue. They are also known to reduce muscle soreness after weight training or running sessions. Doses vary, but between 5- 20 grams a day is recommended depending on how heavy your workouts are. The main benefit of this amino acid is that it helps the body fight muscle fatigue. This specific attribute is what earns it a spot on the list of pre-workout supplements you should have with you at all times. It works best with workouts with intervals of one minute, which is why people who are in weight training love it so much. The recommended dosage for Beta-Alanine is between 4 and 6 grams a day and any higher will give your body a prickly sensation on your skin. It feels like you are being pricked by tine needles. 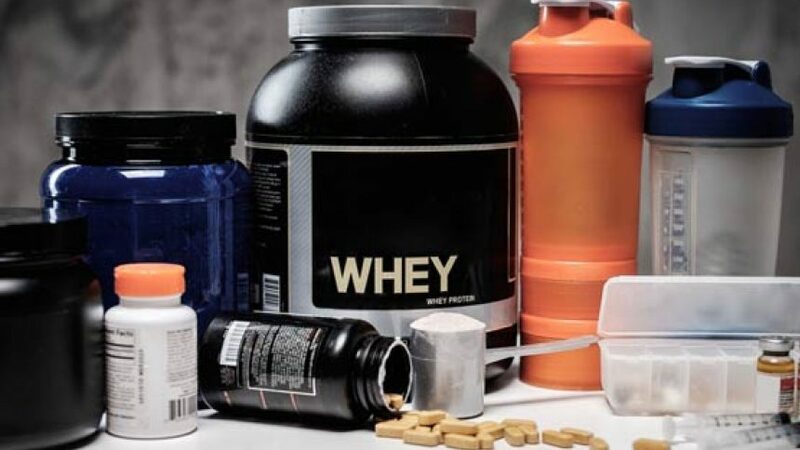 This is the main reason why it is infused such products as Cellucor C4, where it is already in safe doses in the product’s recommended daily allowance. Nitrate is a naturally occurring substance in the body and is found in some common vegetables such as spinach and beetroot. These are however very low quantities, hence the incorporation into pre-workout supplements. The way nitrate works, is that it increases blood flow, while reducing the amount of oxygen needed by the body to perform arduous tasks such as weight training and high intensity cardio workouts. The optimal dosage for nitrates is between 6 and 13 milligrams per kilogram of bodyweight. This means for someone who weighs 68 Kgs, the recommended dosage is between 400 and 800 milligrams.